Star Wars Battlefront II Single Player Trailer is Bonkers! EA Games has unleashed a marvelous looking Star Wars Battlefront II single player trailer, the new trailer features many familiar characters from across the Star Wars Saga, including Luke, Leia, Maz Kanata and more! Check out the video below. Featuring new characters created by Motive in close partnership with the story group at Lucasfilm, the Star Wars Battlefront II single player campaign will deliver a new exciting story to the Star Wars universe. 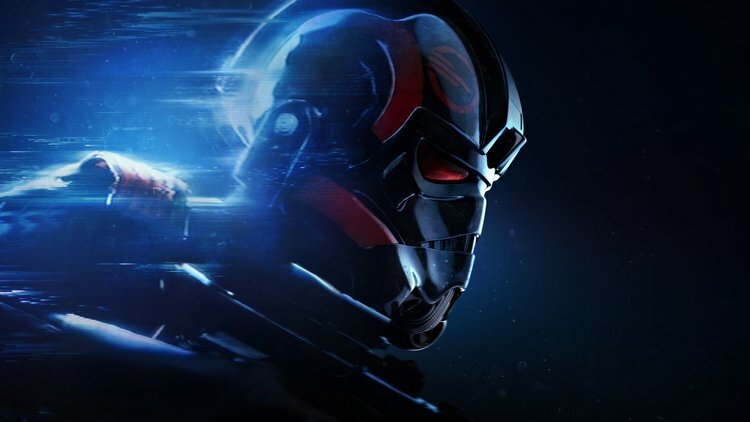 Taking place in the 30 years between the destruction of Death Star II and through the rise of the First Order, the single-player story introduces Iden Versio, the leader of Inferno Squad, an elite special forces unit of the Galactic Empire, who are equally lethal on the ground and in space. 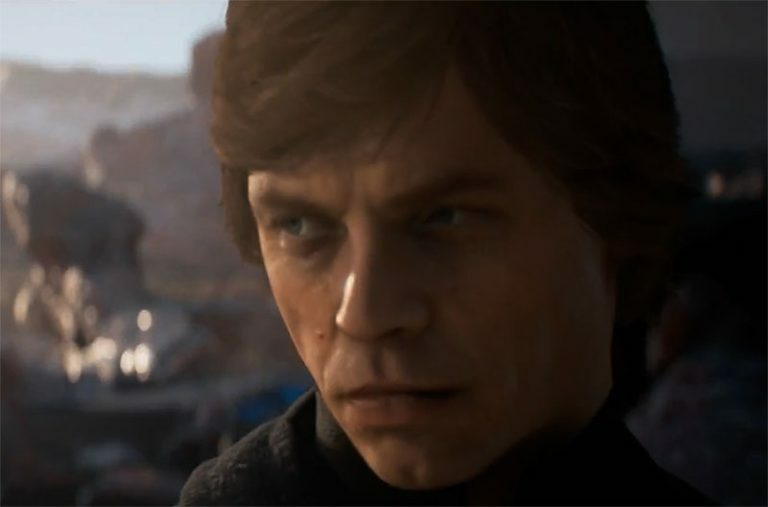 In addition to Iden, players will also encounter and play as other iconic Star Wars heroes and villains like Luke Skywalker and Kylo Ren during the campaign. In addition to the all-new single-player campaign, the team at DICE is evolving the game’s multiplayer to become the ultimate Star Wars battleground. 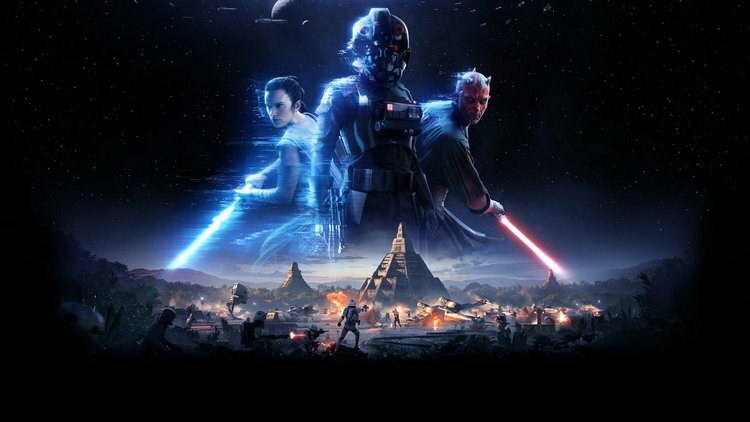 With modes supporting up to 40 players, Star Wars Battlefront II takes fans through a wide range of iconic locations from all three eras: prequel, classic and new trilogy, including new in-game locations such as Yavin 4’s jungle canopies, the spaceport town of Mos Eisley, and Starkiller Base. Players can choose from an array of land and air vehicles and master their own hero’s journey, with customizable character progression across heroes, villains, troopers, and starfighters. As one of the most requested fan modes, galactic-scale space combat is also brought to life in Star Wars Battlefront II. Criterion, with a deep history of creating some of the gaming’s fastest and intuitive vehicles, has built space combat from the ground up with refined handling, weapons, and customization options. Players can drop into the cockpit of the galaxy’s most iconic ships, weave between asteroid fields and fly through imperial dockyards in high stakes dogfights. Star Wars Battlefront II will be available worldwide on November 17, 2017, on PlayStation 4, Xbox One, and on Origin for PC.